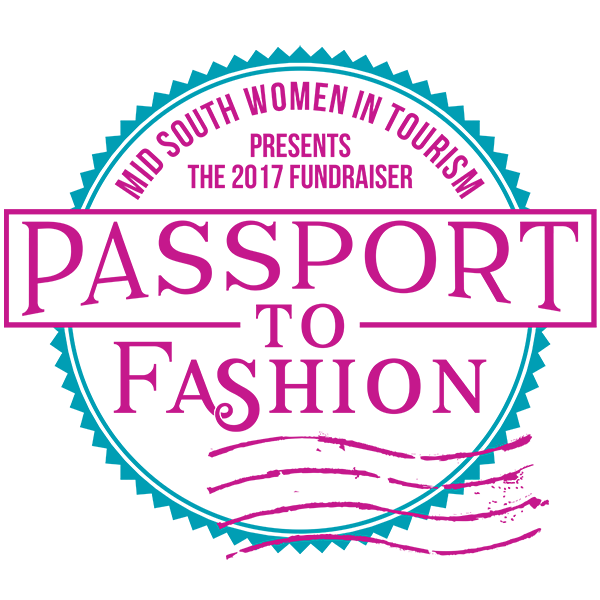 MSWIT's primary objectives are to network locally, nationally, and internationally with contacts that will contribute to our professional and personal growth, and to encourage and assist women to improve their knowledge and experience through educational programs. 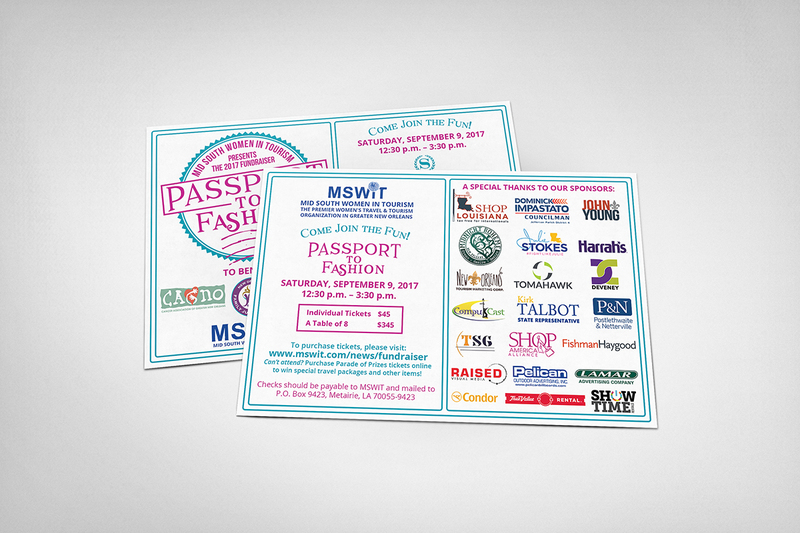 Midnight Boheme was a proud member of MSWIT for the year of 2017 and became a Red Carpet sponsor for the annual fundraiser "Passport to Fashion." 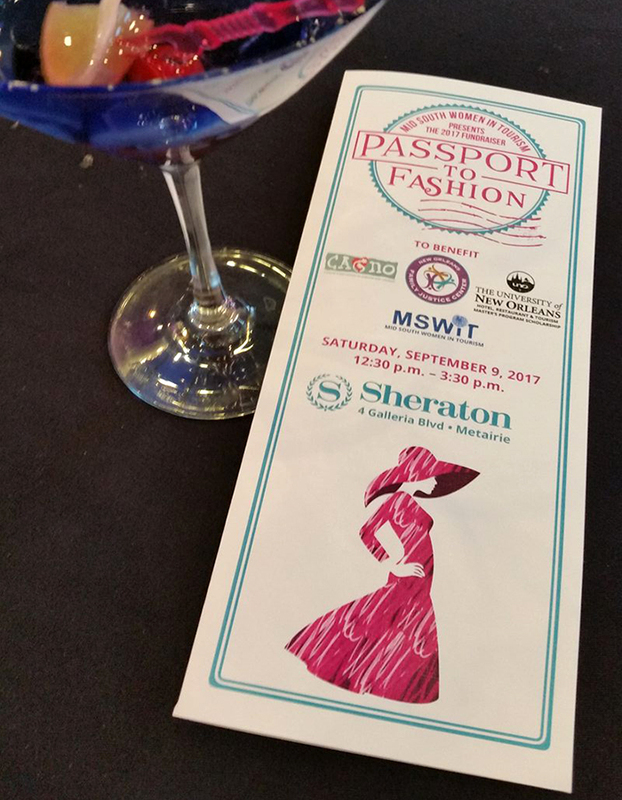 Benefiting MSWIT, CAGNO, the New Orleans Family Justice Center, and the UNO Hotel Restaurant & Tourism Master's Program Scholarship, the annual fundraiser "Passport to Fashion" was held at the Sheraton Hotel in Metairie on Saturday, September 9, 2017. In addition to being a MSWIT member and Red Carpet sponsor, MIdnight Boheme was proud to design the collateral to promote the enthusiastic event as well as partake in the festivities by giving a five minute presentation in the ballroom to the audience to promote the boutique graphic design company. 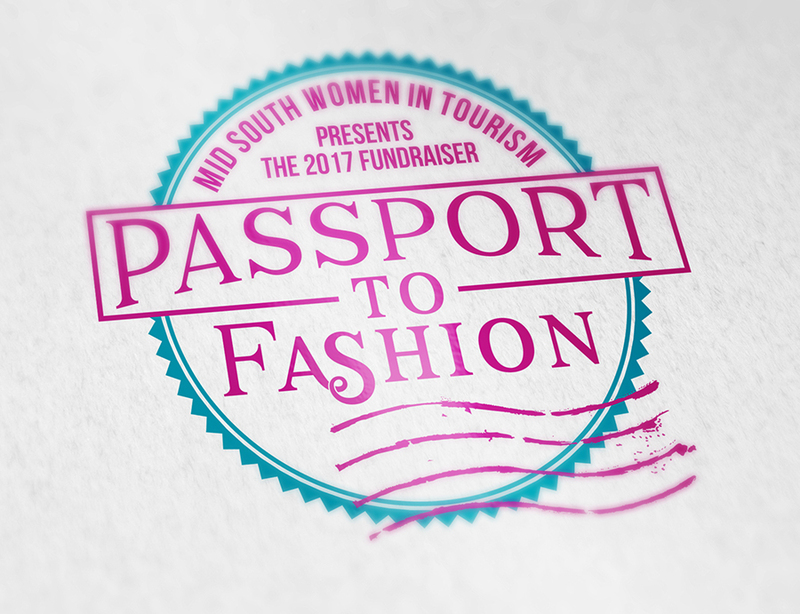 "Passport to Fashion" brimmed with ladies from all corners of the tourism industry throughout New Orleans and even other parts of Louisiana. With a fashion show, emcee, live music, catered lunch, bottomless martinis, and swag bags, the fundraiser was a huge success! One of the highlights of the "Passport to Fashion" event was to visit each sponsor table for pamphlets and information about tourism and in doing so, collect signatures from each vendor. Those with all signatures could join the raffle.